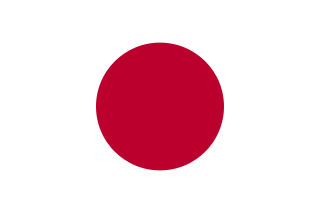 Japan (Japanese : 日本; Nippon [ɲippoɴ] or Nihon [ɲihoɴ] ; formally 日本国 Nippon-koku or Nihon-koku, lit. 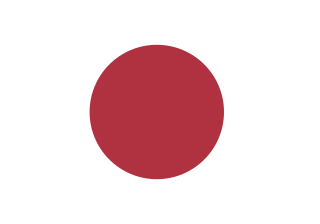 "State of Japan") is an island country in East Asia. Located in the Pacific Ocean, it lies off the eastern coast of the Asian continent and stretches from the Sea of Okhotsk in the north to the East China Sea and the Philippine Sea in the south. Kanji are the adopted logographic Chinese characters that are used in the Japanese writing system. 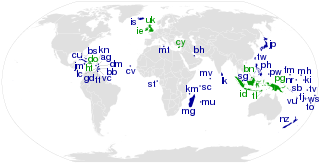 They are used alongside the Japanese syllabic scripts hiragana and katakana. The Japanese term kanji for the Chinese characters literally means "Han characters". It is written with the same characters in the Chinese language to refer to the character writing system, hanzi (漢字). The word Japan is an exonym, and is used by a large number of languages. The Japanese names for Japan are Nippon and Nihon. They are both written in Japanese using the kanji 日本. A stratovolcano, also known as a composite volcano, is a conical volcano built up by many layers (strata) of hardened lava, tephra, pumice and ash. Unlike shield volcanoes, stratovolcanoes are characterized by a steep profile with a summit crater and periodic intervals of explosive eruptions and effusive eruptions, although some have collapsed summit craters called calderas. The lava flowing from stratovolcanoes typically cools and hardens before spreading far, due to high viscosity. The magma forming this lava is often felsic, having high-to-intermediate levels of silica, with lesser amounts of less-viscous mafic magma. Extensive felsic lava flows are uncommon, but have travelled as far as 15 km (9.3 mi). The Upper Paleolithic is the third and last subdivision of the Paleolithic or Old Stone Age. Very broadly, it dates to between 50,000 and 10,000 years ago, according to some theories coinciding with the appearance of behavioral modernity Humans and before the advent of agriculture. From the 12th century until 1868, Japan was ruled by successive feudal military shōguns who ruled in the name of the Emperor. 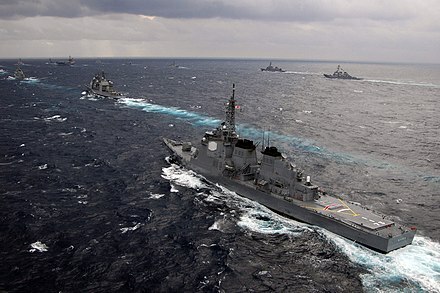 Japan entered into a long period of isolation in the early 17th century, which was ended in 1853 when a United States fleet pressured Japan to open to the West. After nearly two decades of internal conflict and insurrection, the Imperial Court regained its political power in 1868 through the help of several clans from Chōshū and Satsuma – and the Empire of Japan was established. 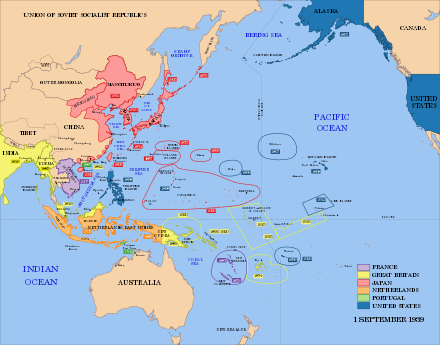 In the late 19th and early 20th centuries, victories in the First Sino-Japanese War, the Russo-Japanese War and World War I allowed Japan to expand its empire during a period of increasing militarism. The Second Sino-Japanese War of 1937 expanded into part of World War II in 1941, which came to an end in 1945 following the Japanese surrender. Since adopting its revised constitution on May 3, 1947, during the occupation led by SCAP, the sovereign state of Japan has maintained a unitary parliamentary constitutional monarchy with an Emperor and an elected legislature called the National Diet. Sakoku was the isolationist foreign policy of the Japanese Tokugawa shogunate under which relations and trade between Japan and other countries were severely limited, nearly all foreign nationals were barred from entering Japan and common Japanese people were kept from leaving the country for a period of over 220 years. 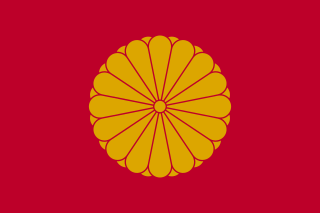 The policy was enacted by the Tokugawa shogunate under Tokugawa Iemitsu through a number of edicts and policies from 1633 to 1639, and ended after 1853 when the American Black Ships commanded by Matthew Perry forced the opening of Japan to American trade through a series of unequal treaties. Japan is a member of the ASEAN Plus mechanism, UN, the OECD, the G7, the G8, and the G20, and is considered a great power. Its economy is the world's third-largest by nominal GDP and the fourth-largest by purchasing power parity. It is also the world's fourth-largest exporter and fourth-largest importer. 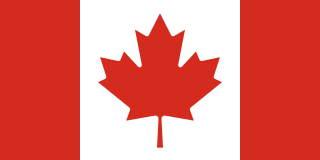 The Group of Seven (G7) is a group consisting of Canada, France, Germany, Italy, Japan, the United Kingdom, and the United States. These countries, with the seven largest IMF-described advanced economies in the world, represent 58% of the global net wealth ($317 trillion). The G7 countries also represent more than 46% of the global gross domestic product (GDP) based on nominal values, and more than 32% of the global GDP based on purchasing power parity. The European Union is also represented at the G7 summit. The G8, reformatted as G7 from 2014 due to the suspension of Russia's participation, was an inter-governmental political forum from 1997 until 2014. Article 9 of the Japanese Constitution is a clause in the national Constitution of Japan outlawing war as a means to settle international disputes involving the state. The Constitution came into effect on May 3, 1947, following World War II. In its text, the state formally renounces the sovereign right of belligerency and aims at an international peace based on justice and order. The article also states that, to accomplish these aims, armed forces with war potential will not be maintained. This clause was written and imposed by the United States. The Japan Self-Defense Forces, JSDF, also referred to as the Self-Defense Forces (SDF), Japan Defense Forces (JDF), or the Japanese Armed Forces, are the unified military forces of Japan that were established in 1954, and are controlled by the Ministry of Defense. The JSDF ranked as the world's fourth most-powerful military in conventional capabilities in a Credit Suisse report in 2015 and it has the world's eighth-largest military budget. In recent years they have been engaged in international peacekeeping operations including UN peacekeeping. Self-defense is a countermeasure that involves defending the health and well-being of oneself from harm. The use of the right of self-defense as a legal justification for the use of force in times of danger is available in many jurisdictions. From the Meiji Restoration until the end of World War II, the full title of Japan was Dai Nippon Teikoku(大日本帝國), meaning "the Empire of Great Japan". Today, the name Nihon-koku/Nippon-koku(日本国) is used as a formal modern-day equivalent with the meaning of "the State of Japan". 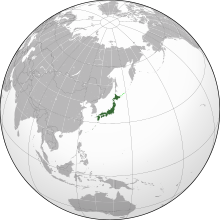 Countries like Japan whose long form does not contain a descriptive designation are generally given a name appended by the character koku(国), meaning "country", "nation" or "state". The Nara period (710–784) marked an emergence of the centralized Japanese state centered on the Imperial Court in Heijō-kyō (modern Nara). The Nara period is characterized by the appearance of a nascent literature as well as the development of Buddhist-inspired art and architecture. The smallpox epidemic of 735–737 is believed to have killed as much as one-third of Japan's population. In 784, Emperor Kanmu moved the capital from Nara to Nagaoka-kyō, then to Heian-kyō (modern Kyoto) in 794. Japan's feudal era was characterized by the emergence and dominance of a ruling class of warriors, the samurai. In 1185, following the defeat of the Taira clan in the Genpei War, sung in the epic Tale of Heike, samurai Minamoto no Yoritomo was appointed shōgun by Emperor Go-Toba, and Yoritomo established a base of power in Kamakura. After his death, the Hōjō clan came to power as regents for the shōguns. The Zen school of Buddhism was introduced from China in the Kamakura period (1185–1333) and became popular among the samurai class. The Kamakura shogunate repelled Mongol invasions in 1274 and 1281, but was eventually overthrown by Emperor Go-Daigo. Emperor Go-Daigo was himself defeated by Ashikaga Takauji in 1336. During the 16th century, Portuguese traders, and Jesuit missionaries like the Spanish Francis Xavier  reached Japan for the first time, initiating direct commercial and cultural exchange between Japan and the West. This allowed Oda Nobunaga to obtain European technology and firearms, which he used to conquer many other daimyōs. His consolidation of power began what was known as the Azuchi–Momoyama period (1573–1603). After Nobunaga was assassinated in 1582 by Akechi Mitsuhide, his successor Toyotomi Hideyoshi unified the nation in 1590 and launched two unsuccessful invasions of Korea in 1592 and 1597. The Empire of Japan invaded other parts of China in 1937, precipitating the Second Sino-Japanese War (1937–1945). The Imperial Japanese Army swiftly captured the capital Nanjing and conducted the Nanjing Massacre. 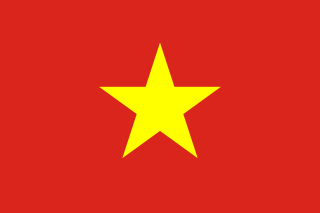 In 1940, the Empire invaded French Indochina, after which the United States placed an oil embargo on Japan. On December 7–8, 1941, Japanese forces carried out surprise attacks on Pearl Harbor, British forces in Malaya, Singapore and Hong Kong and declared war on the United States and the British Empire, bringing the United States and the United Kingdom into World War II in the Pacific. After Allied victories across the Pacific during the next four years, which culminated in the Soviet invasion of Manchuria and the atomic bombings of Hiroshima and Nagasaki in 1945, Japan agreed to an unconditional surrender on August 15. The war cost Japan, its colonies, China and the war's other combatants tens of millions of lives and left much of Japan's industry and infrastructure destroyed. The Allies (led by the United States) repatriated millions of ethnic Japanese from colonies and military camps throughout Asia, largely eliminating the Japanese empire and restoring the independence of its conquered territories. The Allies also convened the International Military Tribunal for the Far East on May 3, 1946, to prosecute some senior generals for war crimes. Approximately 0.5% of Japan's total area is reclaimed land (umetatechi). It began in the 12th century. Late 20th and early 21st century projects include artificial islands such as Chubu Centrair International Airport in Ise Bay, Kansai International Airport in the middle of Osaka Bay, Yokohama Hakkeijima Sea Paradise and Wakayama Marina City. The village of Ogata in Akita, Japan, was established on land reclaimed from Lake Hachirōgata starting in 1957. By 1977, the amount of land reclaimed totaled 172.03 km2 (66.42 sq mi). The Isahaya Bay reclamation project (諫早湾干拓事業) in Isahaya, Nagasaki started in 1989 and a total of 35 km2 (14 sq mi) has been reclaimed as of 2018. Japan's legislative body is the National Diet, seated in Chiyoda, Tokyo. The Diet is a bicameral body, comprising the lower House of Representatives with 465 seats, elected by popular vote every four years or when dissolved; and the upper House of Councillors with 242 seats, whose popularly elected members serve six-year terms. There is universal suffrage for adults over 18 years of age,  with a secret ballot for all elected offices. The Diet is currently dominated by the conservative Liberal Democratic Party (LDP), with the largest opposition party being the social-liberal Constitutional Democratic Party (CDP). The LDP has enjoyed near-continuous electoral success since 1955, except for brief periods between 1993 and 1994 and from 2009 to 2012. As of November 2017 [update] , it holds 283 seats in the lower house and 125 seats in the upper house. Japan contests Russia's control of the Southern Kuril Islands (including Etorofu, Kunashiri, Shikotan, and the Habomai group) which were occupied by the Soviet Union in 1945. South Korea's control of Liancourt Rocks (Japanese: Takeshima, Korean: Dokdo) are acknowledged, but not accepted and are claimed by Japan. Japan has strained relations with the People's Republic of China (PRC) and the Republic of China (ROC) over the Senkaku Islands;  and with the People's Republic of China over the status of Okinotorishima. Japan also has a large cooperative sector, with three of the ten largest cooperatives in the world located in Japan, including the largest consumer cooperative and the largest agricultural cooperative in the world  . 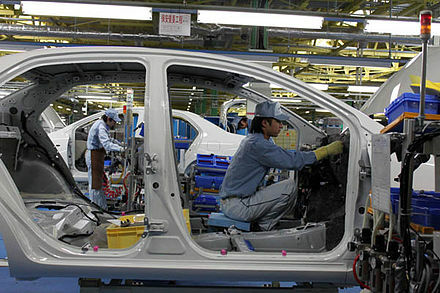 The Japanese agricultural sector accounts for about 1.4% of the total country's GDP. Only 12% of Japan's land is suitable for cultivation. Due to this lack of arable land, a system of terraces is used to farm in small areas. This results in one of the world's highest levels of crop yields per unit area, with an overall agricultural self-sufficiency rate of about 50% on fewer than 56,000 square kilometres (14,000,000 acre s) cultivated. In 1996, Japan ranked fourth in the world in tonnage of fish caught. Japan captured 4,074,580 metric tons of fish in 2005, down from 4,987,703 tons in 2000, 9,558,615 tons in 1990, 9,864,422 tons in 1980, 8,520,397 tons in 1970, 5,583,796 tons in 1960 and 2,881,855 tons in 1950. In 2003, the total aquaculture production was predicted at 1,301,437 tonnes. In 2010, Japan's total fisheries production was 4,762,469 fish. Offshore fisheries accounted for an average of 50% of the nation's total fish catches in the late 1980s although they experienced repeated ups and downs during that period. Japan attracted 19.73 million international tourists in 2015  and increased by 21.8% to attract 24.03 million international tourists in 2016. Tourism from abroad is one of the few promising businesses in Japan. Foreign visitors to Japan doubled in last decade and reached 10 million people for the first time in 2013, led by increase of Asian visitors. Japan has 20 World Heritage Sites, including Himeji Castle, Historic Monuments of Ancient Kyoto and Nara. 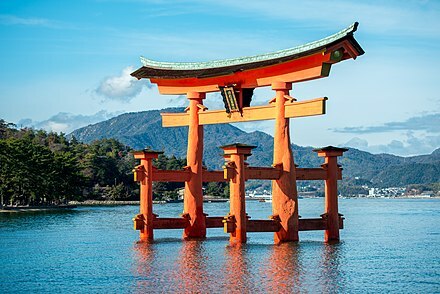 Popular tourist attractions include Tokyo and Hiroshima, Mount Fuji, ski resorts such as Niseko in Hokkaido, Okinawa, riding the shinkansen and taking advantage of Japan's hotel and hotspring network. The Greater Tokyo Area ranked as the most populous metropolitan area in the world. 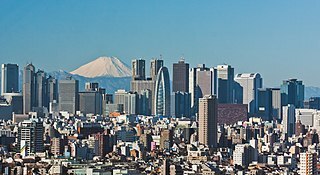 The capital city Tokyo has a population of 13.8 million (2018). It is part of the Greater Tokyo Area, the biggest metropolitan area in the world with 38,140,000 people (2016). The area is 13,500 km2 (5,200 sq mi)  and has a population density of 2,642 square kilometres (1,020 sq mi). Primary schools, secondary schools and universities were introduced in 1872 as a result of the Meiji Restoration. Since 1947, compulsory education in Japan comprises elementary and junior high school, which together last for nine years (from age 6 to age 15). Almost all children continue their education at a three-year senior high school. Japanese architecture is a combination between local and other influences. It has traditionally been typified by wooden structures, elevated slightly off the ground, with tiled or thatched roofs. Sliding doors ( fusuma ) were used in place of walls, allowing the internal configuration of a space to be customized for different occasions. People usually sat on cushions or otherwise on the floor, traditionally; chairs and high tables were not widely used until the 20th century. Since the 19th century, however, Japan has incorporated much of Western, modern, and post-modern architecture into construction and design, and is today a leader in cutting-edge architectural design and technology. The interaction between Japanese and European art has been significant: for example ukiyo-e prints, which began to be exported in the 19th century in the movement known as Japonism, had a significant influence on the development of modern art in the West, most notably on post-Impressionism. Famous ukiyo-e artists include Hokusai and Hiroshige. Japanese animated films and television series, known as anime for short, were largely influenced by Japanese manga comic books and have been extensively popular in the West. Japan is a world-renowned powerhouse of animation. Famous anime directors include Hayao Miyazaki, Osamu Tezuka and Isao Takahata. Japan has one of the oldest and largest film industries in the world; movies have been produced in Japan since 1897. Three Japanese films ( Rashomon , Seven Samurai and Tokyo Story ) made the Sight & Sound's 2002 Critics and Directors Poll for the best films of all time. Ishirō Honda's Godzilla became an international icon of Japan and spawned an entire subgenre of kaiju films, as well as the longest-running film franchise in history. The most acclaimed Japanese film directors include Akira Kurosawa, Kenji Mizoguchi, Yasujiro Ozu and Shohei Imamura. Japan has won the Academy Award for the Best Foreign Language Film four times, more than any other Asian country. 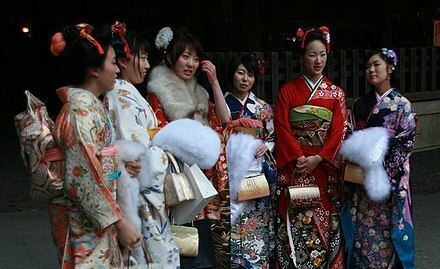 The code of etiquette in Japan governs the expectations of social behavior. They are considered very important in Japan. The etiquette varies greatly depending on one's status relative to the person in question. Some customs have changed over time. These distinct cultural values make Japanese etiquette substantially different from western and other countries. Honne and tatemae (本音と建前) contrasts a person's true feelings and desires and the behavior and opinions one displays in public. 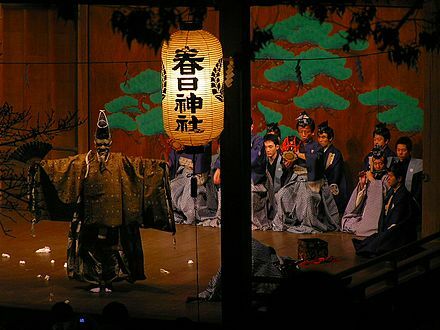 Yamato-damashii (大和魂) refers to the cultural values and characteristics of the Japanese people. It originates from the Heian period and describes the indigenous Japanese 'spirit' or cultural values as opposed to cultural values of foreign nations. Wa (和) is a Japanese cultural concept that implies a peaceful unity and conformity within a social group, in which members prefer the continuation of a harmonious community over their personal interests. Miai (見合い) is a Japanese traditional custom in which a woman and a man are introduced to each other to consider the possibility of marriage. It is a meeting opportunity with more serious considerations for the future as a process of courtship. Ishin-denshin (以心伝心) is a Japanese idiom which denotes a form of interpersonal communication through unspoken mutual understanding. Isagiyosa (潔さ) is a virtue of the capability of accepting death with composure and equanimity. Cherry blossoms are a symbol of isagiyosa in the sense of embracing the transience of the world. Hansei (反省) is a central idea in Japanese culture, meaning to acknowledge one's own mistake and to pledge improvement. Kotodama (言霊) refers to the Japanese belief that mystical powers dwell in words and names. 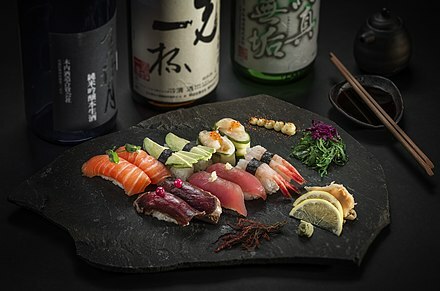 Japanese cuisine is based on combining staple foods, typically Japanese rice or noodles, with a soup and okazu – dishes made from fish, vegetable, tofu and such – to add flavor to the staple food. In the early modern era ingredients such as red meats that had previously not been widely used in Japan were introduced. 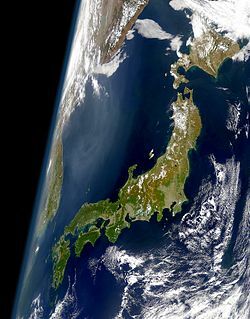 Japan is an island nation comprising a stratovolcanic archipelago over 3,000 km (1,900 mi) along East Asia's Pacific coast. It consists of 6,852 islands. The main islands are Honshu, Kyushu, Shikoku and Hokkaido. The Ryukyu Islands and Nanpō Islands are south of the main islands. The territory extends 377,973.89 km2 (145,936.53 sq mi). It is the largest island country in East Asia and fourth largest island country in the world. 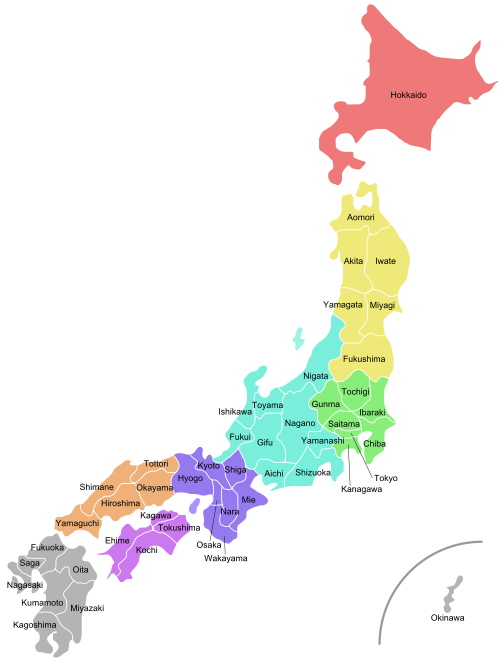 Japan has the sixth longest coastline 29,751 km (18,486 mi) and the eighth largest Exclusive Economic Zone of 4,470,000 km2 (1,730,000 sq mi) in the world. The demographic features of the population of Japan include population density, ethnicity, education level, health of the populace, economic status, religious affiliations and other aspects regarding the population. The Four Asian Tigers, Four Asian Dragons or Four Little Dragons, are the economies of Hong Kong, Singapore, South Korea and Taiwan, which underwent rapid industrialization and maintained exceptionally high growth rates between the early 1960s and 1990s. By the early 21st century, all four had developed into high-income economies, specializing in areas of competitive advantage. Hong Kong and Singapore have become world-leading international financial centres, whereas South Korea and Taiwan are world leaders in manufacturing electronic components and devices. Their economic success stories have served as role models for many developing countries, especially the Tiger Cub Economies of southeast Asia. The Japanese diaspora, and its individual members known as nikkei (日系) or nikkeijin (日系人), are the Japanese immigrants from Japan and their descendants that reside in a foreign country. 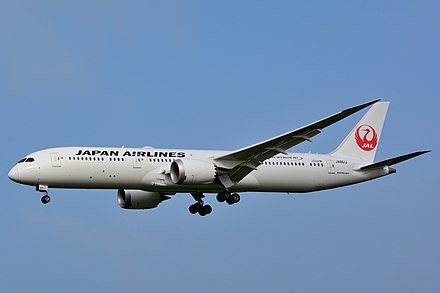 Emigration from Japan was recorded as early as the 12th century to the Philippines, but did not become a mass phenomenon until the Meiji period, when Japanese began to go to the Philippines and the Americas. There was also significant emigration to the territories of the Empire of Japan during the colonial period; however, most emigrants repatriated to Japan after the surrender of Japan and the end of World War II in Asia. According to census statistics, 98.5% of the population of Japan are Japanese, with the remainder being foreign nationals residing in Japan. However, these statistics measure citizenship, not ethnicity, with all domestic minorities such as the Ainu, Ryukyuans and Burakumin being counted as simply "Japanese." The Japanese government since the late Meiji period has claimed to not and did not admit nor publicly disclose collecting data on the ethnic identities of its citizens, claiming that there are no issues of race relations among Japanese citizens as they are all of the same race. However, in earlier times differences were more obvious, most notably among the Emishi. 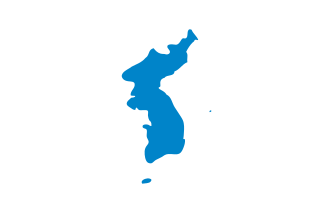 Korea under Japanese rule began with the end of the short-lived Korean Empire in 1910 and ended at the conclusion of World War II in 1945. Japanese rule over Korea was the outcome of a process that began with the Japan–Korea Treaty of 1876, whereby a complex coalition of the Meiji government, military, and business officials sought to integrate Korea both politically and economically into the Empire of Japan. A major stepping-stone towards the Japanese occupation of Korea was the Japan–Korea Treaty of 1905, in which the then-Korean Empire was declared a protectorate of Japan. The annexation of Korea by Japan was set up in the Japan–Korea Treaty of 1910, which was never actually signed by the Korean Regent, Gojong. Daisaku Ikeda is a Buddhist philosopher, educator, author, and nuclear disarmament advocate. He has served as the third president and then honorary president of the Soka Gakkai, the largest of Japan's new religious movements. Ikeda is the founding president of the Soka Gakkai International (SGI), the world's largest Buddhist lay organization with approximately 12 million practitioners in 192 countries and territories. 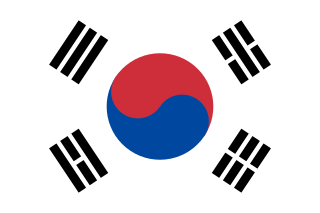 The Korean Wave (Hangul: 한류; Hanja: 韓流; RR: Hallyu; MR: Hallyu, listen , a neologism is the increase in global popularity of South Korean culture since the 1990s. First driven by the spread of K-dramas and K-pop across East, South and Southeast Asia during its initial stages, the Korean Wave evolved from a regional development into a global phenomenon, carried by the Internet and social media and the proliferation of K-pop music videos on YouTube. The term Hallyu was first used by the Ministry of Culture and Tourism in Korea in 1999, when the ministry produced a music CD titled in Chinese "Hallyu—Song From Korea". The term was adopted by Chinese media to describe the success of Korean popular culture in China. The term was reintroduced in Japan as hanryu or kanryu by the Asahi Shimbun in 2001. The Asian Century is the projected 21st-century dominance of Asian politics and culture, assuming certain demographic and economic trends persist. The concept of Asian Century parallels the characterization of the 19th century as Britain's Imperial Century, and the 20th century as the American Century. East Asian people is a term used for ethnic groups and subgroups that are indigenous to East Asia, which consists of China, Hong Kong, Macau, Japan, Mongolia, North Korea, South Korea, and Taiwan. The major ethnic groups that form the core of East Asia are the Han, Joseon, and Yamato. Other ethnic groups of East Asia include the Bai, Hui, Tibetans, Manchus, Ryukyuan, Ainu, Zhuang, and Mongols. ↑ "East Asia/Southeast Asia : Japan – The World Factbook". www.cia.gov. Retrieved November 23, 2018. ↑ "Explore Japan National Flag and National Anthem" . Retrieved January 29, 2017. ↑ 法制執務コラム集「法律と国語・日本語」 (in Japanese). Legislative Bureau of the House of Councillors. Retrieved January 19, 2009. 1 2 平成29年全国都道府県市区町村別の面積を公表. Geospatial Information Authority of Japan. Archived from the original on September 19, 2018. Retrieved September 19, 2018. ↑ "Facts about Japan, General Information" . Retrieved January 29, 2017. 1 2 3 4 "World Economic Outlook Database, April 2018 – Report for Selected Countries and Subjects". International Monetary Fund (IMF). October 2018. ↑ "World Factbook: Gini Index". CIA]. Retrieved May 11, 2011. 1 2 東京都の人口（推計） [Population of Tokyo (estimate)]. Tokyo Metropolitan Government Bureau of Statistics Department. Archived from the original on October 2, 2018. Retrieved October 22, 2018. ↑ United Nations (March 12, 2017). "The World's Cities in 2016" (PDF). United Nations. ↑ Baron, Joshua (January 22, 2014). Great Power Peace and American Primacy: The Origins and Future of a New International Order. US: Palgrave Macmillan. ISBN 978-1-137-29948-2. 1 2 O'Sullivan, Michael; Subramanian, Krithika (October 17, 2015). The End of Globalization or a more Multipolar World? (Report). Credit Suisse AG. Archived from the original on February 15, 2018. Retrieved July 14, 2017. ↑ "Where does the name Japan come from?" . Retrieved January 29, 2017. 1 2 "Why Japan is Japan? How Japan became Japan?" . Retrieved January 29, 2017. ↑ "121 AD: Wakoku, The Land Of The Submissive Dwarf People?". Tofugu. January 6, 2012. Retrieved January 29, 2017. ↑ "Wa: The Spirit of Harmony and Japanese Design Today | Concept, Works, and Catalogue". Japan Foundation. Retrieved January 29, 2017. ↑ Hoffman, Michael (July 27, 2008). "Cipangu's landlocked isles". The Japan Times Online. The Japan Times. Archived from the original on August 25, 2018. Retrieved August 25, 2018. ↑ Batchelor, Robert K. (January 6, 2014). London: The Selden Map and the Making of a Global City, 1549–1689. University of Chicago Press. pp. 76, 79. ISBN 978-0-226-08079-6. In Richard Wille's 1577 book "The History of Travalye in the West and East Indies"
↑ Frédéric, Louis (2002). Japan Encyclopedia. The Belknap Press of Harvard University Press. p. 143. ISBN 978-0-674-00770-3 . Retrieved January 29, 2017. ↑ Keally, Charles T. (April 27, 2009). "Kofun Culture". www.t-net.ne.jp. Japanese Archaeology. Retrieved July 28, 2018. ↑ Kitagawa, Joseph Mitsuo (1987). On Understanding Japanese Religion. Princeton University Press. p. 145. ISBN 978-0-691-10229-0 . Retrieved July 28, 2018. emphasis on the undisrupted chronological continuity from myths to legends and from legends to history, it is difficult to determine where one ends and the next begins. At any rate, the first ten legendary emperors are clearly not reliable historical records. 1 2 Sansom, George (1961). A History of Japan: 1334–1615. Stanford University Press. pp. 57, 68. ISBN 978-0-8047-0525-7. 1 2 Totman, Conrad (2002). A History of Japan. Blackwell. pp. 107–108. ISBN 978-1-4051-2359-4. ↑ "Lazos entre España y Japón en la tierra natal de San Francisco Javier". January 29, 2015. ↑ Matsusaka, Y. Tak (2009). "The Japanese Empire". In Tsutsui, William M. (ed.). Companion to Japanese History. Blackwell. pp. 224–241. ISBN 978-1-4051-1690-9. ↑ Coleman, Joseph (March 6, 2007). "'52 coup plot bid to rearm Japan: CIA". The Japan Times Online. Retrieved April 3, 2007. ↑ "Water Supply in Japan". Ministry of Health, Labour and Welfare. Archived from the original (website) on January 26, 2018. Retrieved September 26, 2018. ↑ 日本の領海等概念図. 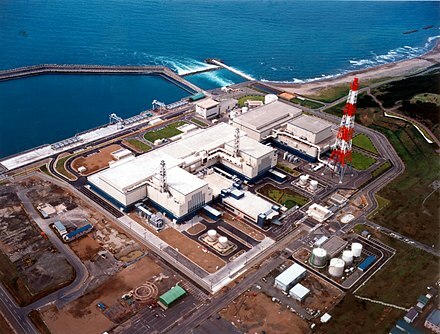 海上保安庁海洋情報部. Archived from the original on August 12, 2018. Retrieved August 12, 2018. ↑ "World Population Prospects". UN Department of Economic and Social Affairs . Archived from the original on March 21, 2007. Retrieved March 27, 2007. ↑ "Reclaimed Land in Japan". 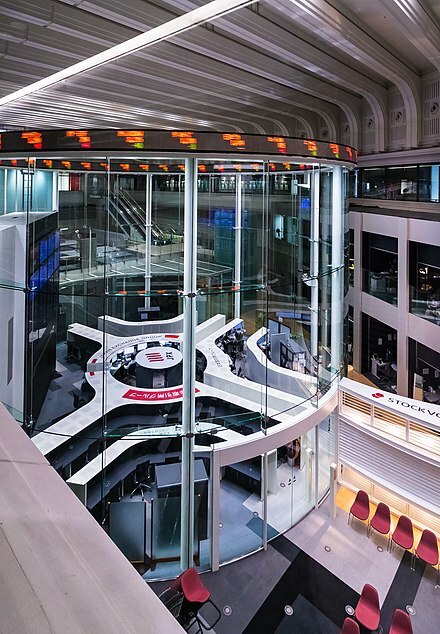 Japan Property Central. Archived from the original on February 26, 2018. Retrieved September 26, 2018. ↑ "The History of Ogata-Mura | Ogata-mura". Ogata.or.jp. Archived from the original on September 24, 2015. Retrieved April 17, 2014. ↑ "Record High in Japan as Heat Wave Grips the Region". Archived from the original on July 23, 2018. Retrieved July 26, 2018. ↑ "Environmental Performance Review of Japan" (PDF). OECD . Retrieved January 16, 2011. ↑ "Japan desperate for male heir to oldest monarchy". London: independent.co.uk. March 1, 1996. 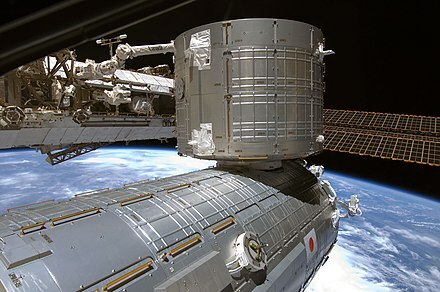 Retrieved June 5, 2010. ↑ "Japan lowers voting age from 20 to 18 to better reflect young people's opinions in policies". The Straits Times . June 20, 2015. Retrieved August 28, 2017. ↑ Fackler, Martin (December 27, 2013). "Ex-Premier Is Chosen To Govern Japan Again". The New York Times . New York. Retrieved March 12, 2013. ↑ In Japanese, 43 of the prefectures are called "ken"(県), Kyoto and Osaka are "fu"(府), Hokkaido is a "dō"(道) and Tokyo is a "to"(都). Although different in name they are functionally the same. ↑ "Global Diplomacy Index – Country Rank". Lowy Institute. Retrieved April 1, 2018. ↑ McCune, George (1950). Korea Today. Cambridge: Harvard University Press. p. 33. ↑ Ju, Hyujung (2014). "Transformations of the Korean Media Industry by the Korean Wave: The Perspective of Glocalization". Korean Popular Culture in Global Context– via ProQuest ebrary. ↑ "Abe and Moon hold first talks in Hamburg, agree to resume reciprocal visits". The Japan Times Online. July 7, 2017. ISSN 0447-5763 . Retrieved July 8, 2017. ↑ Howe, Christopher (1996). The Origins of Japanese Trade Supremacy. Hurst & Company. pp. 58ff. ISBN 978-1-85065-538-1. 1 2 "Trip Report – Japan Agricultural Situation". US Department of Agriculture. August 17, 2012. Retrieved November 21, 2013. ↑ "How will Japan's farms survive?". The Japan Time]. June 28, 2013. Retrieved November 21, 2013. 1 2 OICA (2016). "Production Statistics" . Retrieved November 13, 2016. ↑ "Fortune Global 500". CNN Money. Retrieved November 16, 2013. ↑ "National Newspapers Total Circulation 2011". International Federation of Audit Bureaux of Circulations . Retrieved February 2, 2014. ↑ Otake, Tomoko (January 19, 2016). "Visitors to Japan surge to record 19.73 million, spend all-time high ¥3.48 trillion". The Japan Times Online– via Japan Times Online. ↑ "2016 Foreign Visitors & Japanese Departures" (PDF). Retrieved January 29, 2017– via Japan National Tourism Organization. ↑ Otake, Tomoko (January 29, 2017). "Number of foreign visitors to Japan tops 20 million mark for first time". The Japan Times Online– via Japan Times Online. ↑ "Japan Total Visitor Numbers Over 24 Million in 2016!". Japan National Tourism Organization-UK Global Office. Retrieved January 29, 2017– via Japan Times Online. ↑ "Number of visitors to Japan" . Retrieved January 29, 2017– via Japan Macro Advisors. ↑ 2015年推計値 (PDF). Japan National Tourism Organization. Archived from the original (PDF) on May 8, 2016. ↑ Bhattacharjya, Samhati (May 17, 2016). 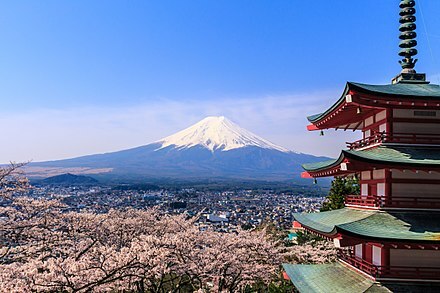 "Japan to offer 10-year multi-entry visas for Chinese as part of tourism push". International Business Times . Retrieved May 17, 2016.